Hello everyone! I'm up on the Paper Issues blog today with Printable Perfection. Have you grabbed this month's FREE printable yet? If not, you can find it overhere in the store. 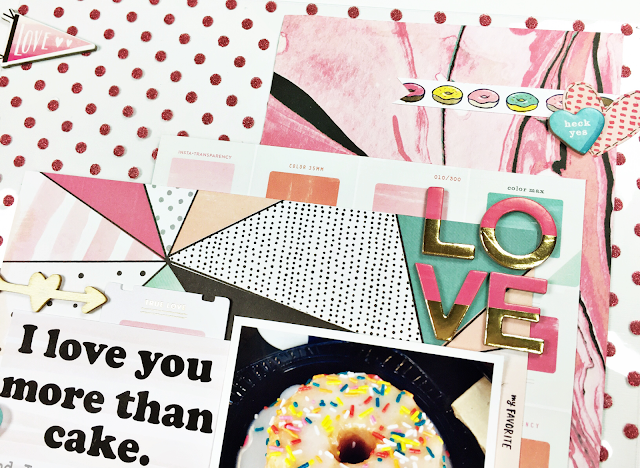 You can link up your projects made with this printable overhere in our challenge album for your chance to win. Deadline is March 6th. 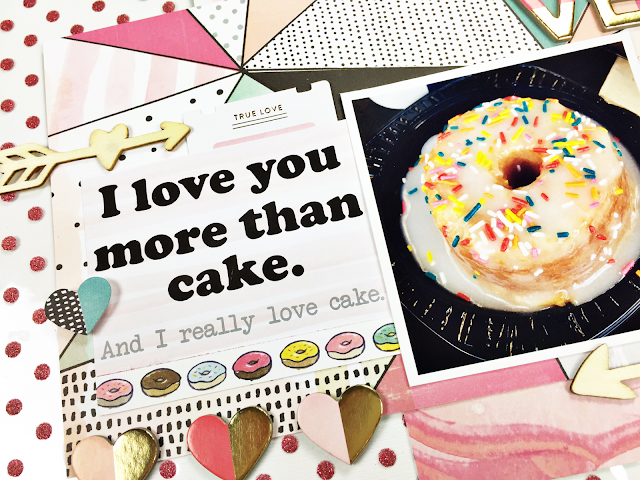 As I'm single and not in love, I decided to use one of the cards in a little different way: expressing my donut love. Especially when they're drowning in glaze and sprinkles like this one. 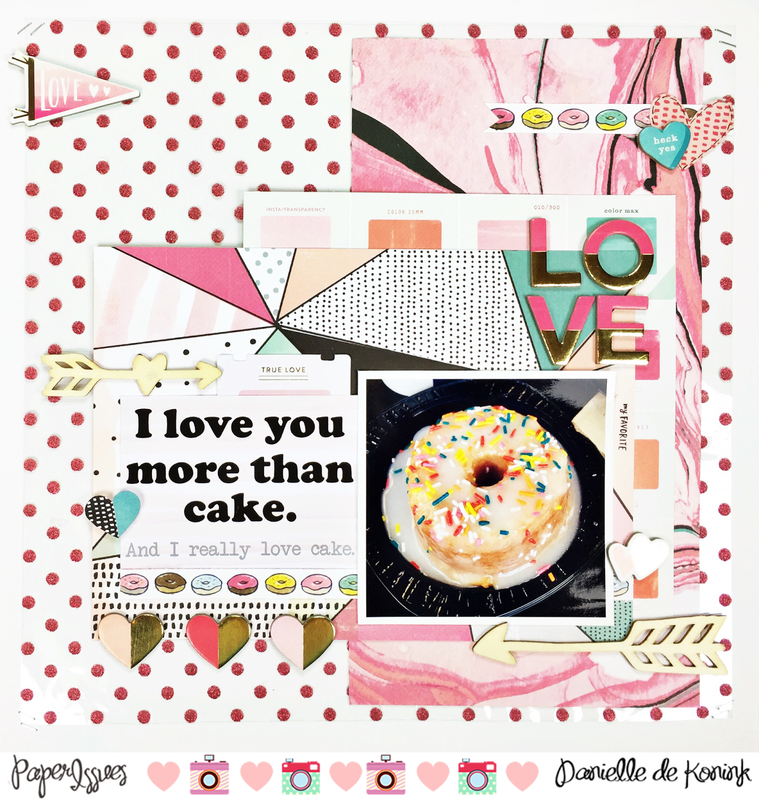 I used the Crate Paper Hello Love collection to create this layout. 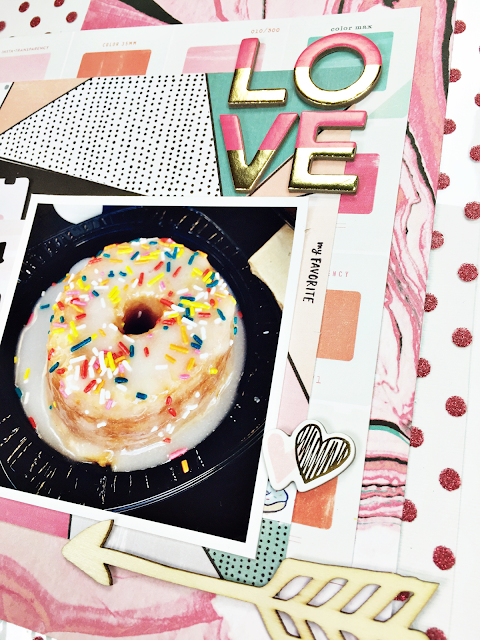 I found the donut paper strip on one of the Amy Tangerine Better Together papers. 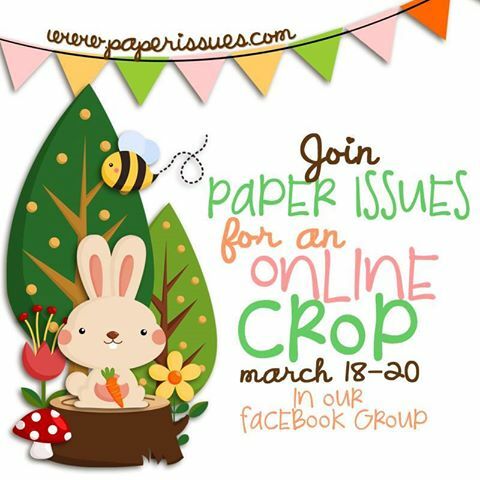 Have you heard about our upcoming online Spring Crop? This event will take place March 18-20 in our online community on facebook. Lots of challenges and fun, you don't want to miss out. Hope to see you there!